Maintain your plant and fleet at peak performance to increase reliability and asset availability. 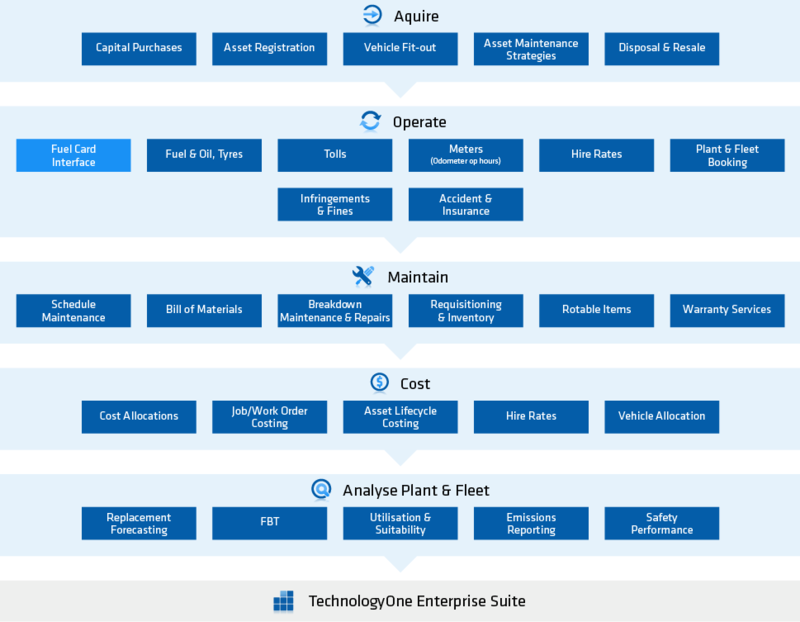 Purchase, manage, maintain, cost and dispose of all your assets with TechnologyOne's Plant and Fleet Management solution. Book fleet, appropriately charge costs and resources and monitor and maximise performance.